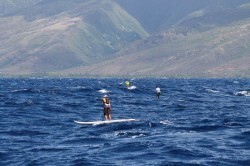 VMG ‘Battle of the Brands’ has been updated with results from the Maui to Molokai channel crossing. – Team Sunova is the biggest mover, jumping +3 to #4 after picking up 71.66 points across the channel. Take a look behind the scenes of the 2017 Maui2Molokai race, where Connor Baxter set a new record for longest winning streak by claiming an historic eighth-straight title. The world number one really had to work for it though, with Travis Grant leading for much of the race and fellow Aussie James Casey not too far behind. The World Rankings have been updated with results from the 8th annual channel crossing between Maui and Molokai. It’s another big weekend of racing around the world, with three main events spanning Europe to the Pacific and back again. Here’s what we’ll be covering over the next couple of days. In brief: As if we needed any further proof that Connor Baxter is the greatest stand up paddler on the planet, I present you with exhibit a: This coming Saturday afternoon, Connor will line up on the west coast of Maui for the start of the 2017 Maui2Molokai race, arguably the greatest ocean race and definitely the best downwind run in the world of paddling. 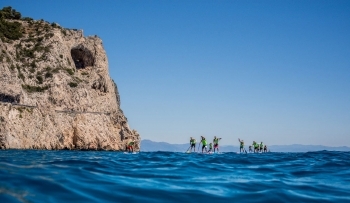 It’s another big weekend of SUP racing around the world, with the northern summer heating up and great events happening everywhere from Europe to California to Hawaii and plenty more places in between. 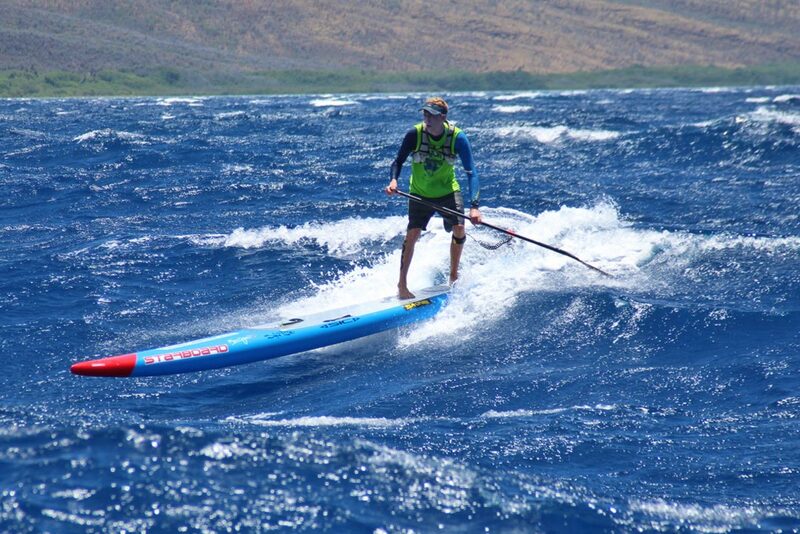 We’re less than a month away from one of the real gems on the international calendar, the classic Maui 2 Molokai SUP race in Hawaii that’s often rated as the greatest downwind run on the planet. I’ve always loved paddling unlimited boards. There’s a special feeling you get from gliding through the ocean on a 17 or 18 foot board that just can’t be matched on a 12’6 or 14. Unlimiteds are slightly challenging at first but I reckon that’s half the fun. Once you get the hang of it you never want to paddle anything else! 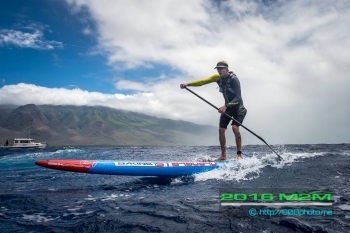 Connor Baxter has just won the Maui 2 Molokai race in Hawaii, further extending the longest winning streak in the history of men’s SUP racing. 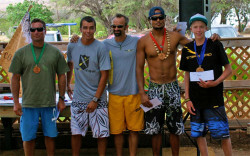 This was Connor’s sixth straight Maui 2 Molokai crown, dating back to the inaugural event in 2010. CB10: Is Connor Baxter Creating The Next Decade Of Dominance With Maui 2 Molokai? CB10. Doesn’t have quite the same ring to it as JM10, not yet anyway, but in a few years it may become a very popular term. We’re right smack bang in the middle of the grand spectacular that is SIC’s Downwind Month, when the world descends on the Hawaiian Islands to chase big bumps and endless glides. Downwind Month is about having fun in the open ocean no matter how fast you go, though it does happen to feature a string of big, elite races as well. In a week and a half it’s the grand daddy: Molokai 2 Oahu, which we’ll be covering LIVE on July 27th. However last weekend saw another big channel crossing: Maui 2 Molokai, where Connor Baxter defeated the likes of Kai Lenny, Dave Kalama and Travis Grant to claim his 6th straight M2M crown. Maui 2 Molokai. It sounds a lot like Molokai 2 Oahu. And it is. Many miles of paddling across an open ocean channel from one Hawaiian island to another. Only difference is: Maui 2 Molokai is actually fun. 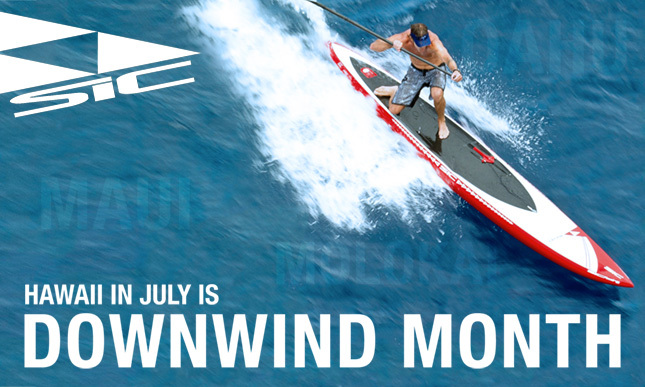 Hawaii in July is Downwind Month. It’s when the wind starts blowing, the bumps start rolling and the paddleboarding world descends on the Hawaiian islands to chase endless glides and elite competition in an absolute paradise. From Maui to Molokai to Oahu, four weekends of big downwind races and one whole month to enjoy the fun and freedom of the open ocean. 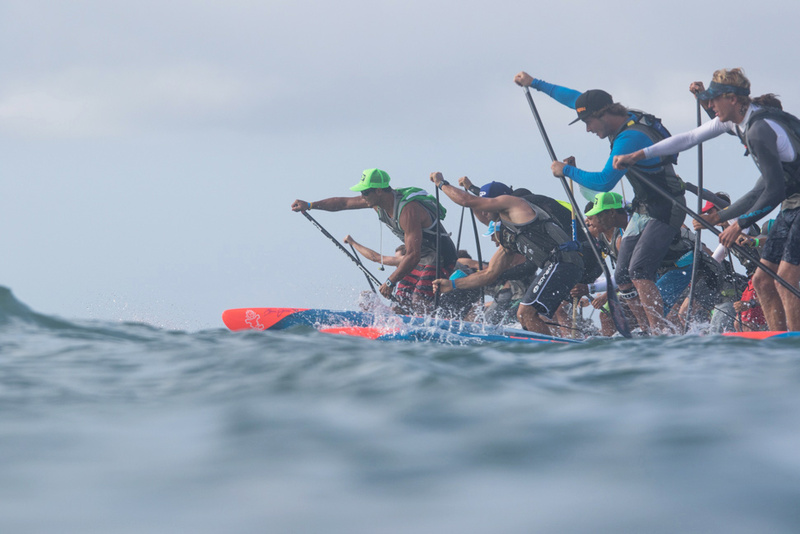 The action starts tomorrow with the Da Hui Race on Oahu, before heading to Maui for two massive races back to back: Maui to Molokai and the Maui Paddleboard Race. After that it’s the big one. The main event. The grand finale of Downwind Month. 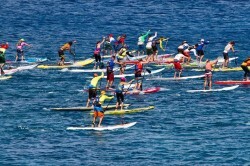 Perhaps the most prestigious race in the world: The Molokai 2 Oahu Paddleboard World Championship on July 27th.